[map] [street view] Co-located with K28IL in eastern New Orleans, near Tarrytown. Just off Behman Highway, between and across from Utah and Oregon Streets. AUX: 25 kW @ 538 feet. 60 dBu protected contour map, from the FCC. [Image] RDS data decoded on Radio Shack DX-398, showing part of the PS (station name) field from October 2015. [Image] RDS data decoded on an Insignia HD portable, showing the PI (call sign) and Radio Text fields from April 2016. 101.9 was originally WWL FM, spawned by AM clear channel station WWL 870. Original format was beautiful music, though in the mid-70's, they tried automated top 40. The station was called "Rampart 102", since the studio was on Rampart Street. Next experiment: The "Schulke II" format -- vocal based easy listening as WAJY, Joy 102. 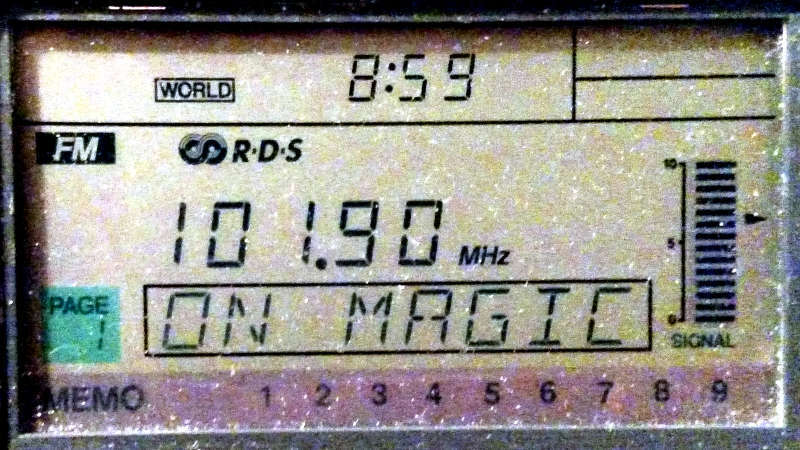 Without any drastic alteration in the soft adult contemporary sound, the calls were changed in the late 80's to WLMG (Louisiana's MaGic 101.9). Station is now the market's softest sound, much lighter than WLTS, which calls itself "Lite 105". Starting after Thanksgiving, this station went to an all Christmas music format which ended on the 26th. 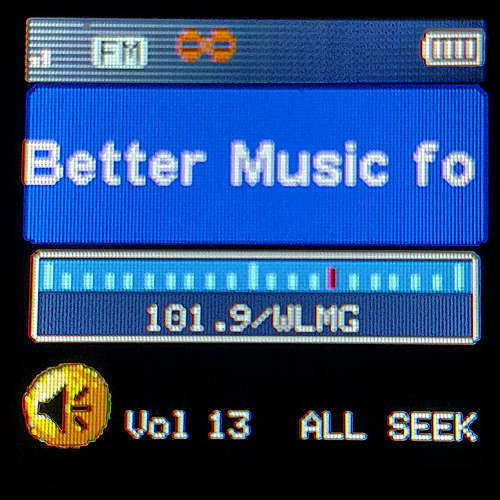 The station installed HD radio equipment in the 2000's and had a longtime "love songs" format on the HD2, which was replaced by Radio Disney in March 2017.